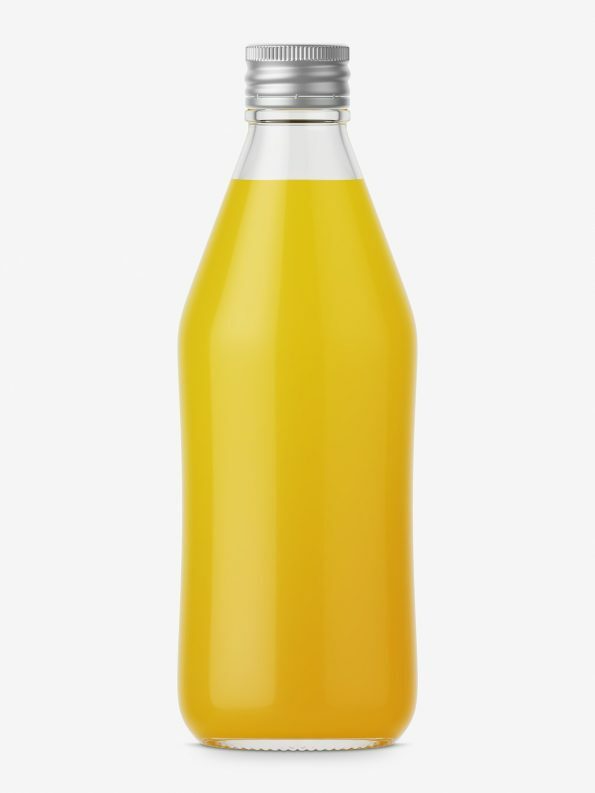 Regular glass bottle with orange juice. Bottle has silver cap, and its color can be changed. 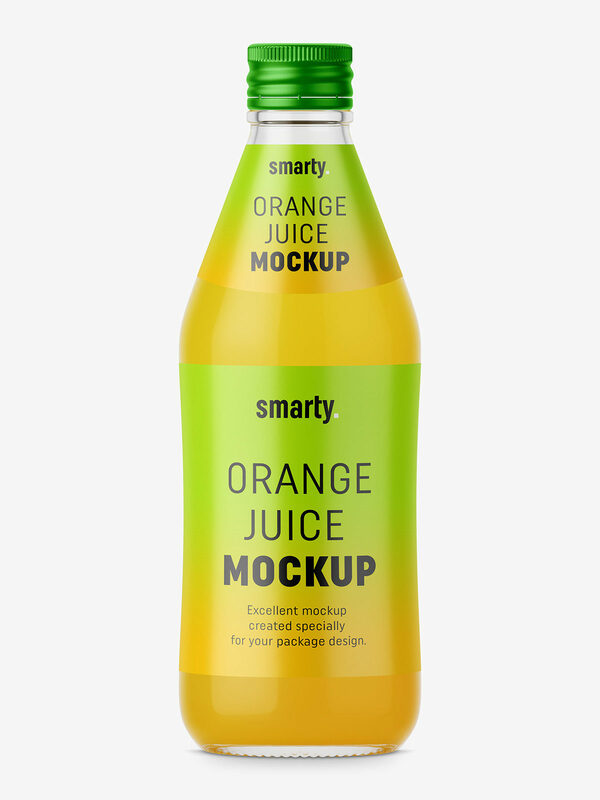 Organised and colourized layer setup makes easy to customize this mockup.